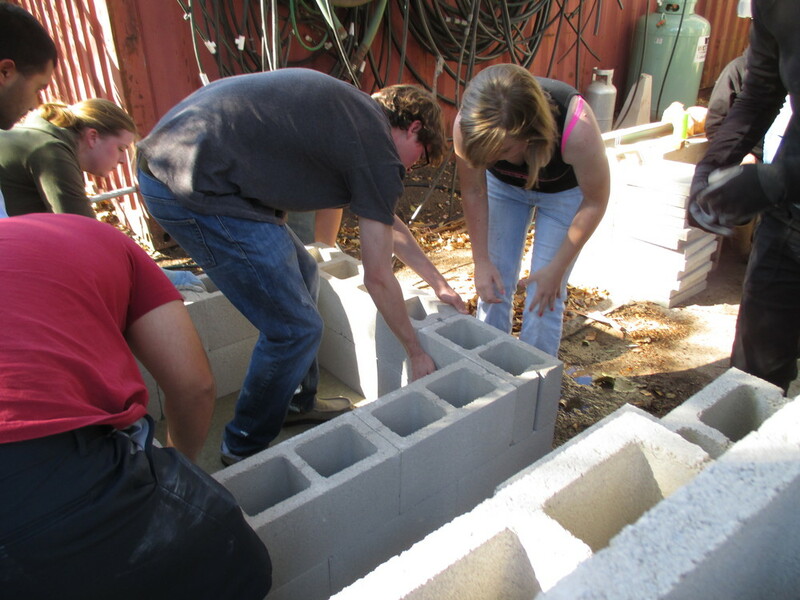 In early February students from SBCC Landscape Construction class learned the art of making the fire that warms twice by building a fully functioning pizza oven in the span of one day. The workshop, hosted by Growing Solutions staff and taught by Orella Ranch’s Guner Tautrim, used readily available materials and cob construction techniques to construct a simple, versatile and much appreciated warm spot in the staff outdoor cooking area. 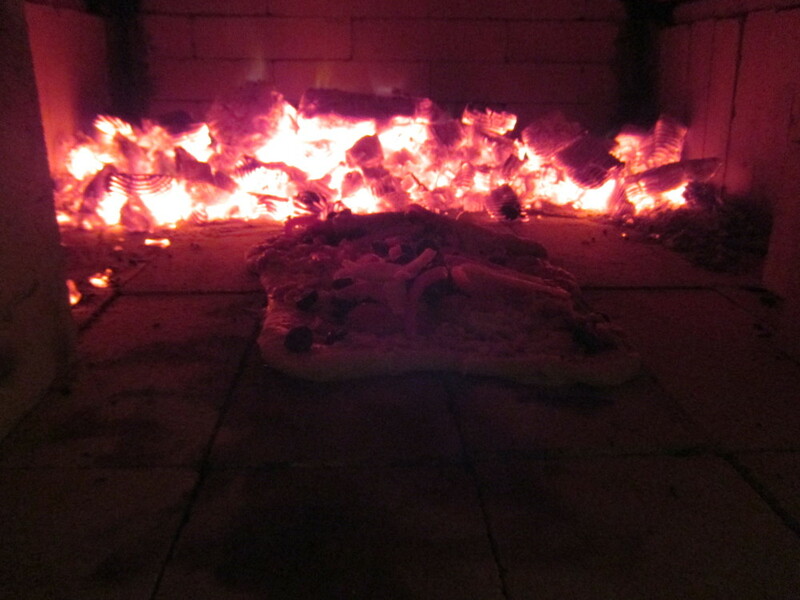 And done within the span of an afternoon…literally only five hours from first dig to digging in for dinner, the first fire being used to cure the bricks and bake a custom feta-veggie (freshly harvested from the garden) pizza at the same time. Of course, the key to good pizza and good pizza-oven building is ample planning and preparation. In this case, GS co-founder Karen Flagg spent nearly a semester constructing a custom hand-coiled chimney at SBCC's Center For Lifelong Learning ceramics' department (needing special approval from the kiln chief to fire such a large piece). Gunar, who runs Seaborn Designs, is an expert in cob construction and has built several pizza ovens in the past. For information on future oven-building workshops contact Peter at peter@growingsolutions.org.